I’ll be honest. I was dubious about finding apps that pay you to use them. I am always seeing people share links, then finding it doesn’t really pan out. 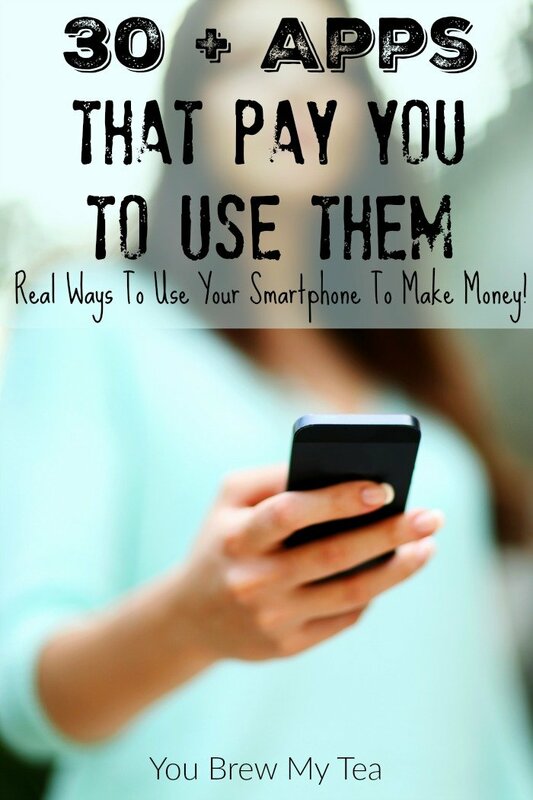 So, when my Sister recently asked me about a few she had found, I kind of went on a search to see if there was anything else out there that could earn a few extra bucks just on your smart phone. I was seriously surprised at how many different options there are for apps that pay you to use them. While not all are going to pay much, everything on this list has been tested by me, unless it is an iPhone only option. In those cases, I share only with reviews from friends or other online sources. I will tell you right away, that very few of these apps that pay you to use them are going to make a lot of consistent income. There are many, however, that are well worth your time. Some are specialized to selling items or services, and can easily make a steady income. Others are rebates, or even survey related and only pay when you complete specific tasks. When deciding what to download and try, consider what your goals are, and if you are looking for that added money to pay for vacations, special treats, or gifts for the holidays. For the sake of honesty and disclosure, some of the links listed are my own referral links, but most are going to be simple download options for Android or iPhone. Letgo: This app is focused on selling items in your local area. You simply upload a picture and description then wait for someone to claim the item. Available on Android and iOs. EBay: The classic auction site has a great easy to use app that allows you to both buy and sell with ease. Available on Android and iOs. Close 5: This app is dedicated to selling items in your local area. You upload a picture, description, and price then you can sell to someone in your local area. Available on Android and iOs. Airbnb: While some might discount this as an app that pays you money, it is a great way to offer up something you can make money from. If you have a guest room or rental home, make extra cash by renting via this app. Available on Android and iOs. Foap: This app is for those interested in selling their photography. You can upload directly from Instagram, Flickr, and similar applications. It is a bit time consuming to use, and you have to rate other photos before yours is published for sell. Depending on the type of images and quality, you could easily make a few hundred dollars a year from this app. Available on Android and iOS. Bookscouter: If you have books laying around that you don’t want to hold onto for reading in the future, this is a great app and website to use for selling. Every few dollars helps in many cases, so it’s worth checking out and getting the clutter out of your home while adding some money to your pocket. This app will direct you to the best place to sell your books. Available on Android and iOs. Field Agent: If you are looking for odd jobs you ca do to make money in your local area, Field Agent is a great idea. Whether you can offer house cleaning, computer repair, or plumbing services, this is a great local tool. It is very specific for individual needs, so can be hit and miss. Available on Android and iOs. Snapwire: This app is for professional photographers to find or sell gigs. You can bid or submit to requests and potentially locate new clients. It is definitely something that is niche specific, so worth looking into for professionals, but not much for an amateur. Available on Android and iOs. Fiverr: If you do freelance graphics, writing, voice work, and many other things, Fiverr is a great site to sell your services. Most gigs are only $5, but there are tons of ways to upsell and make more money on this site. I have made around $250 a month on average using this for the last year just doing editing for 2-3 hours a week. When you sign up online using my referral link you receive a free gig to test out the site. Available on Android and iOs. Gigwalk: This app offers you various jobs in your local area. Things like doing in store mystery shopping and audits, as well as helping people walk their dog, move, or even clean their home. Check it out for odd jobs in your area. Available on Android and iOs. 5Miles: This site is solely for selling items in your local area. Upload a picture, description, and price, then wait for responses. Available on Android and iOs. Facebook: If you have local swap shops in your area, then they are most likely in groups on Facebook. Check out your local community groups to sell items and services. Available on Android and iOs. Instagram: I didn’t realize until recently how many people use Instagram just to sell their products. Homemade crafts, wholesale products, essential oils, LuLuRoe, and more can all be sold through using the right hashtags on this site. Available on Android and iOs. VarageSale: This is another great local selling app. List your items with a picture, description, and price to sell easily in your local area. Available on Android and iOs. Raise: This is a great app and website for buying and selling discounted gift cards. Have a few gift cards you’ll never use? Post them here to make some money and give someone a slight discount on their purchase. I have found gift cards for about 25% off and have sold a handful that were given to me with ease. They have great protection policies in place too! Available on Android and iOs. Poshmark: For higher end clothing sales, this is the app to use. Load your lists of clothing for sale and make higher prices than other selling venues. Available on Android and iOs. Rewardable: This is another one that pays you for leaving feedback on purchases and experiences. Kind of like a mystery shopping experience. I have not used it but it has some decent reviews online. I see it really depends on where you live and what is available to you. There is very little in my area to do with this app, so I have only made about $50 in the last year. Available on Android and iOs. Fronto: This app offers the most variety, plus it pays me to read Buzzfeed articles. This app shows advertisements on your lock screen. You can earn extra points by completing offers, reading articles, or just swiping you phone open. It pays out $1 for every 3375 points earned. 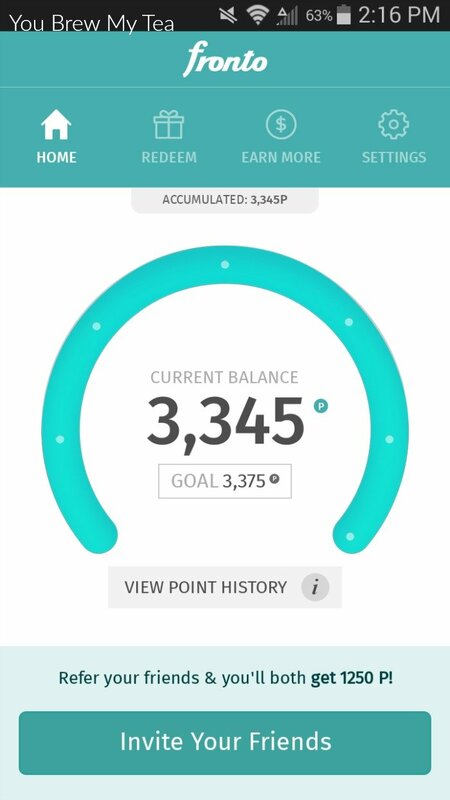 With each swipe earning 5 points, it could take a long time to earn, but you can also download games, complete offers, and do other things to earn. I earn about $1.50 per week with this app. Sign up with my referral link or use referral code AxCC1Eyy to get a 1250 point credit. Available on Android. Slidejoy: This is almost identical to Fronto, except that it has more offers to choose from. You don’t earn extra for completing offers. You simply earn per time you open your lock screen. I actually have these both loaded on my phone at the same time. I can make more from Fronto if I complete offers, but Slidejoy is a set amount every time. For every 1000 “carats” earned, you will be able to cash in for $1. I imagine you could make $50 a year using this app. Sign up using my referral link. Available on Android. Update: I have discovered I make about $2.50 a week using this app. That is a minimum of $130 a year just for unlocking my phone. Totally worth it! Receipt Hog: This app offers rebates on your purchases, as well as coins to use in the in-app slots. This is just another way to win prizes and money, but the real earnings come from uploading your receipts for rebates on applicable purchases. I have not used this personally but have many friends who swear by it for earning rewards. Available on Android and iOs. Walmart Savings Catcher: If you miss a sale price to be matched at Walmart, they catch it for you and give you a rebate on the price you paid in the store. Just upload your receipt after each purchase and watch rebates happen when applicable. We make about $10-$15 back a month using this. Available on Android and iOs. iBotta: This app has been around for a few years and just keeps getting better. With tons of grocery store, dollar store, retailers, and even restaurants listed you can get cash back from, it’s a favorite. Make purchases listed in the app and upload your receipt to earn cash back. I have made as much as $30 back in a month, but usually around $10 per month with casual use. Use my referral code 3gn9xg for a bonus reward. Available on Android and iOs. Berrycart: For healthier options with rebates, Berrycart is the premier app to use. This app focuses on the brands and products you would buy for a healthier diet and lifestyle. I like this since it offers more healthy items that I find at Whole Foods and The Fresh Market on a regular basis. Upload receipts for rebate possibilities. Rebates available after you reach cashout level. Available on Android and iOs. Checkout 51: This is more popular lately because it is one of the few programs available on desktop as well as in app. Much like others, it offers rebates on purchases of certain brands and products. Upload receipts for rebate possibilities. They do require you to reach $20 before they issue you a check. I’ve cashed in twice a year for the last 3 years. Available on Android and iOs. Ebates: If you make a lot of online purchases, Ebates is a great site to go through to receive rewards and rebates back on your purchases. I have never used this site since it takes away the affiliate commissions my blogging friends get when I go through their links. That said, I know many who love it because over the course of a year they can easily earn few hundred dollars back. It also has great referral options around the holidays. Available on Android and iOs. Shopkick: This works by having you scan items in the store, upload receipts, and even sometimes simply checking in when you are in a store on the list. It can take a considerable amount of time to reach payout, but it’s an easy way to earn a few hundred dollars a year on things you already do. Available on Android and iOs. Pact: If you are working out regularly and have fitness goals, this is a great app for you. You make fitness goals and agree to pay if you don’t meet them. Others will pay you if they do not meet their goals. The cost is fairly low if you don’t meet your goals, so you aren’t going to make a ton of money, but over the year, it can add up to a few hundred dollars. Available on Android and iOs. Snap by Groupon: While I haven’t used this much, I have found that it pays back easily on purchases made through the various offers and retailers listed in the app. You receive a rebate after proof of purchase is provided. Available on Android and iOs. ThredUp: You’ve probably seen this website for buying and making money from kids and women’s clothing. You can also use the app directly. While this doesn’t directly pay you cash like others, it is a way to score free kids clothing when you send in you kids gently worn name brand items. Use my referral link to sign up online and earn a reward for free clothing. Available on Android and iOs. Since there are so many apps that pay you to use them in this list that I haven’t personally used, I am going to give a warning ahead of time. These take time, dedication, and will often require downloading games or complete lengthy surveys. I am listing my favorites at the top of the list with information like I have the other apps on this list. The others, I have not used personally, so I am simply adding links to download and use at your own risk. If it is on this list, however, someone I know personally has recommended it to me. Test them out, and if they look to be too much like the others or not working for you, then uninstall and move on. Remember, a lot of the downloads required for these apps to give you rewards must be first downloads on your phone. So, you can’t download for one app, delete and download again for another app to earn double credit. App Trailers: This is probably my favorite since I can so easily set it to play videos and earn while I am working. This app is all about videos. Movie trailers, app trailers, and silly Youtube videos are the key. You can earn anywhere from 5-10 points per video you watch. They also have many games and apps you can download and earn additional points. I set this to play videos and sit my phone beside my laptop while I work. It will play for about a half hour before you have to tap and remind it you are still watching. I can easily earn 200-300 points a day if I do this steadily for a few hours while I work. They also offer points for uploading your own videos. It will take some time to make a lot, but over the course of a month, you can earn $10-$15 just letting videos run on your phone. Available on Android and iOs. Make Money: This is similar in points value to App Trailers, but I like it because I can earn 20 points every day just for checking in. I can also earn each day by sharing on Google +, Facebook, Twitter, and Instagram. This adds up quickly and over the course of a year, you could easily earn $50 just from doing those daily shares. Each video you watch earns 2 points, and the various offers and downloads range in value. Use my referral code V0Z2FP. Available on Android and iOs. Swagbucks: This has been a favorite of mine for many years. Swagbucks offers rewards for doing searches through their search engine, completing surveys, purchasing through their links, printing coupons through their links, and even doing a simple daily poll. I make around $250 a year just by using the daily poll, search, and occasional bonus Swagbucks they offer. They now even offer a separate app just for watching videos for more bucks. Sign up through my referral link. Available on Android and iOs. Inbox Dollars: This app is much like the ones listed above. There are daily polls, surveys, apps to download, games to play, and of course, a few random bonuses thrown in. They mail a check upon request once you have reached the payout threshold. They do charge a small fee to process the check. I make around $100 a year from Inbox Dollars. Available on Android and iOs. 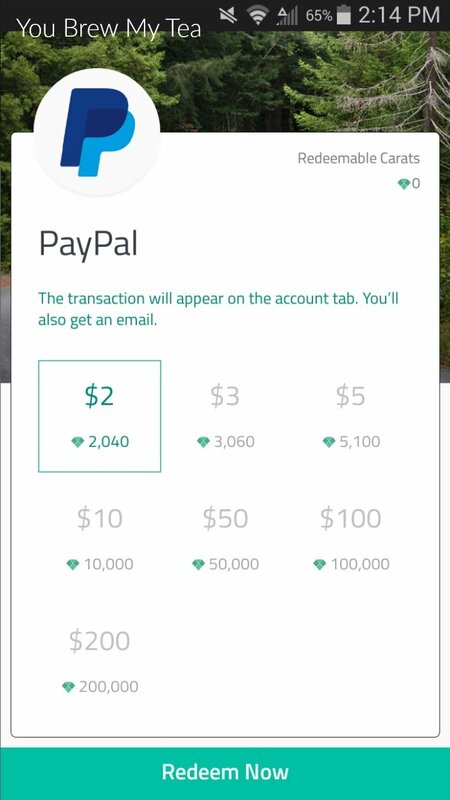 Most of the apps below offer payment in the form of gift cards earned upon completion of surveys. The payout levels for these are unique to each company. Verify before use if they offer a cash or gift card payout that is valuable to you. NCPOnline: Primarily Surveys. Available on Android and iOs. i-Say Mobile: Primarily Surveys. Available on Android and iOs. Google Opinion Rewards: Occasional surveys that earn Google Play vouchers. Available on Android. iPoll: Primarily Surveys. Available on Android and iOs. Surveys On The Go: Primarily Surveys. Available on Android and iOs. Tap Cash Rewards: Various rewards options including surveys, app downloads, and watching videos. Available on Android. Everyone is always looking for another way to make money. 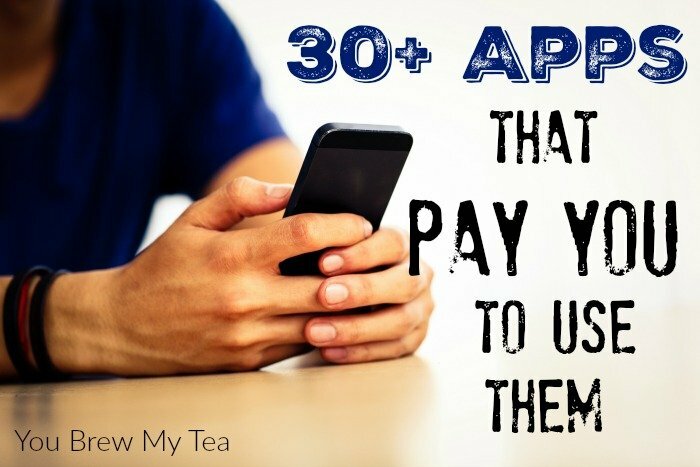 These apps that pay you to use them are just one of the many ways that I and others supplement our work at home income. If you are looking for a regular paycheck, these most likely are not going to do the trick. They are, however, a great way to make money for vacations, splurges, eating out, or savings for future shopping trips or getaways. As I learn of more apps, I’ll be updating this post with more information. Great list, Swagbucks is one of my favorites too!